Unusual and fun, edible insects to bite as an aperitif or cook as you wish. Surprise your friends with all kinds of worms , crickets , beetles , ants, crickets, scorpions ... 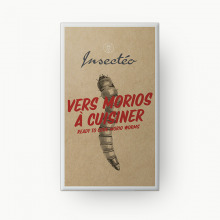 Commonly consumed by almost 2 billion people in the world , insects are prized for their flavor and nutritional qualities. High in protein and low in fat , they are considered as a real alternative food by the UN. 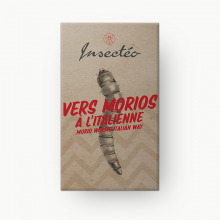 With edible bugs, rethink your meal !